Your payback for scooping mounds of stringy, wet, goopy mess with nothing but a spoon and your bare hand? Something good to eat. 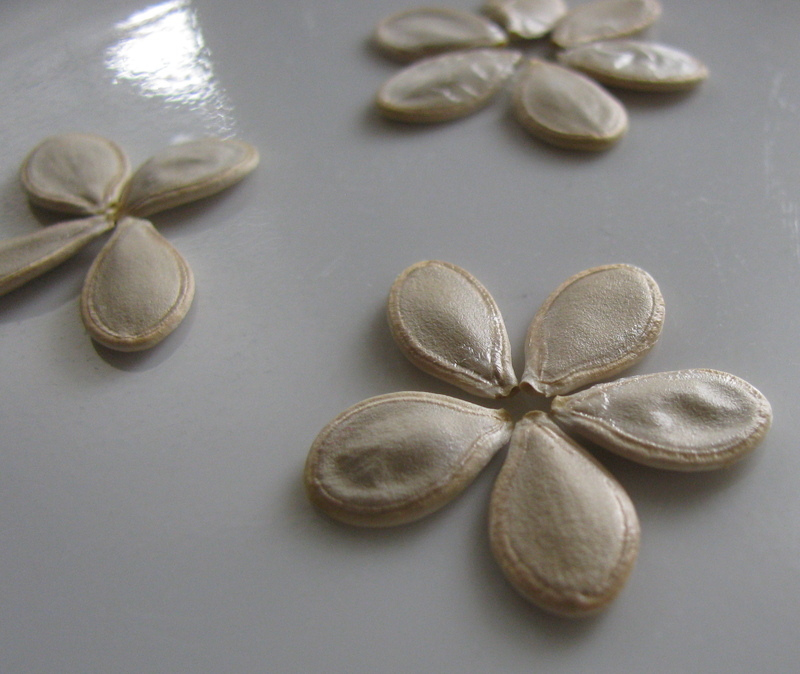 For every 1/2 cup of seeds, mix 2 cups water with 1 Tablespoon salt. Put the seeds in the salt water and bring to a good boil. Remove the seeds from the water, spread them on a cookie sheet, and sprinkle with salt, cayenne, cinnamon and sugar, whatever you like. Bake for 10-20 minutes, til crunchy.